Iowa Governor Kim Reynolds designated March 10th through the 16th as Agriculture Innovation Week. A new project that the Greene County High School ag program is involved with is farming 22.9 additional acres at the site of the new high school and career academy by American Athletic Incorporated/Spaulding along Highway 30. 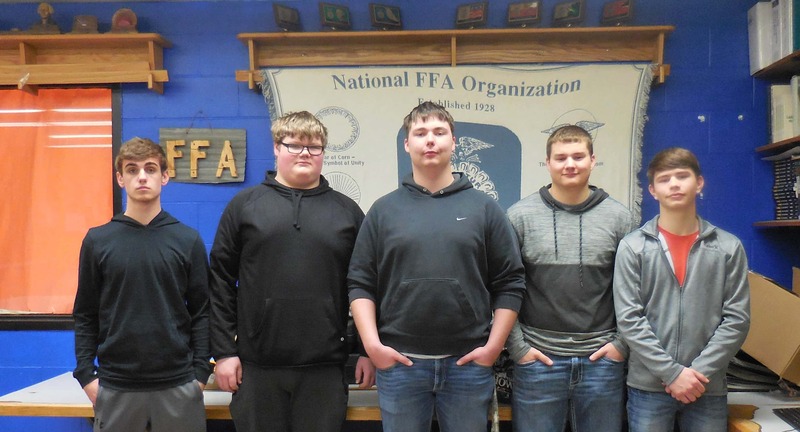 Six students: sophomores Trent Custer and Quinten Schroeder and juniors Cole Betts, Mitchell Anthofer, Garrett Tasler and Jacob Hunter are spearheading the endeavor, along with their instructor Katie Akers and community volunteer Tanner Lawton. The group will be planting corn starting in May, with donated bags of seed. Custer says they are looking for donations of fertilizer and pesticide, plus they will need help in the fall with harvest and are looking for individuals to help haul their grain for the cost of volunteer’s diesel. Custer explains why he wanted to get involved with this new venture. The School Board approved at their regular meeting earlier this week to charge a cash rent of $100 per acre and to certify the land with the Farm Service Agency, so that crop insurance could be purchased. Akers describes the opportunities students can get with this innovative project with real-world experiences. The group has already laid out some dream projects they would like to spend their profits on, which include: purchasing additional plots of land to continue to farm more crops and building a livestock barn to raise livestock.